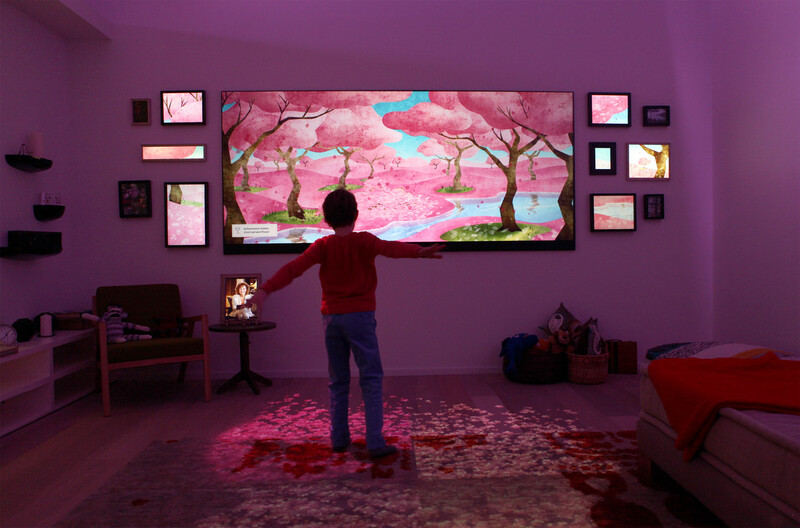 Interactive Storyworld, presented in the living room space at Microsoft's Envisioning Center. The boy collaborates on a bedtime story with his grandma. The boy holds up the lion—a stuffed animal to be scanned and added to the Storyworld experience. The tablet interface is used to collaborate on the story. 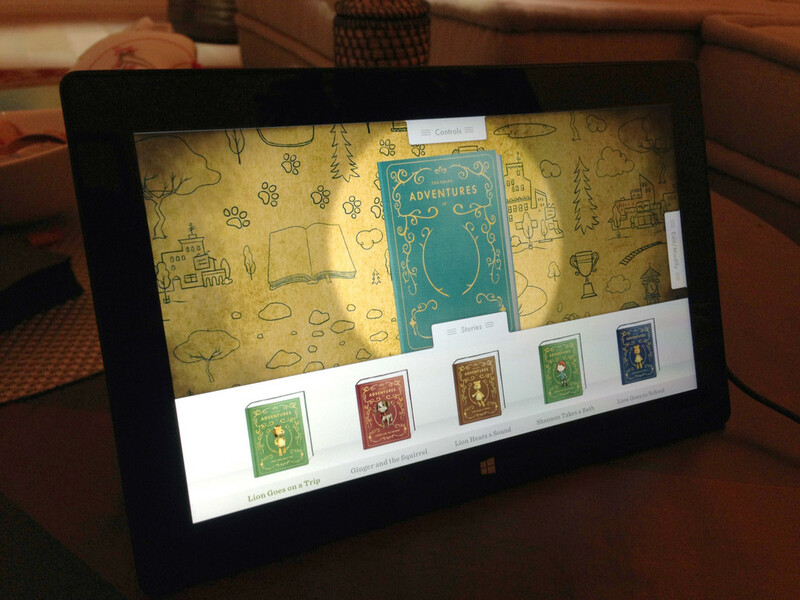 The tablet creates a digital copy of the collaborative experience. 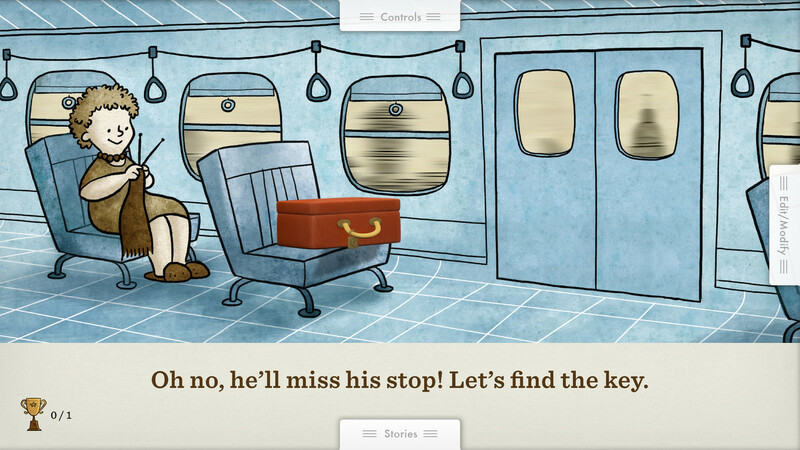 The boy decides that instead of traveling in a plane, the lion travels by train. 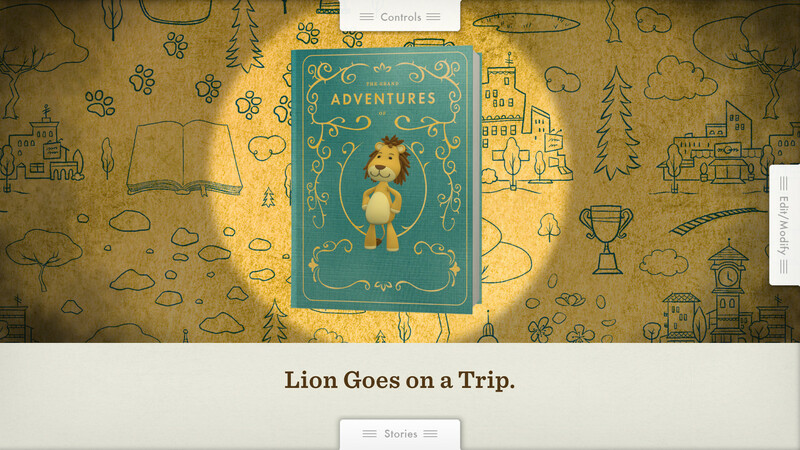 Tablet tracks story choices and saves them. 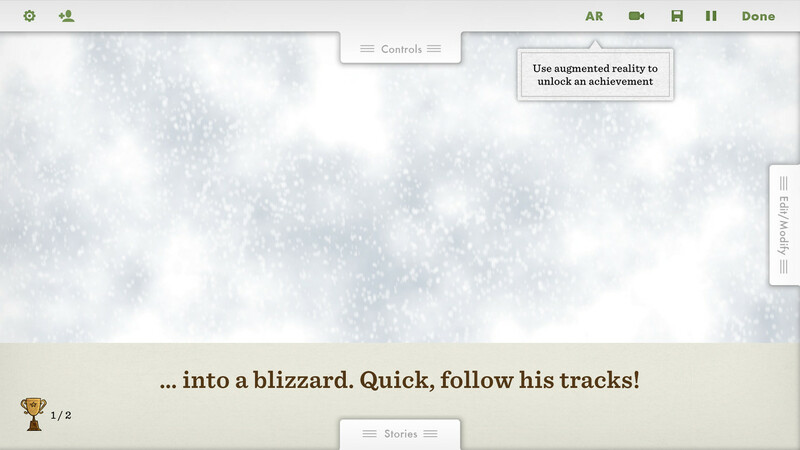 The tablet uses augmented reality to follow the footsteps of the lion as he wanders through the blizzard. The tablet is tracking and saving the story. The lion finds himself at the top of the mountain. The lion falling from the mountain top. 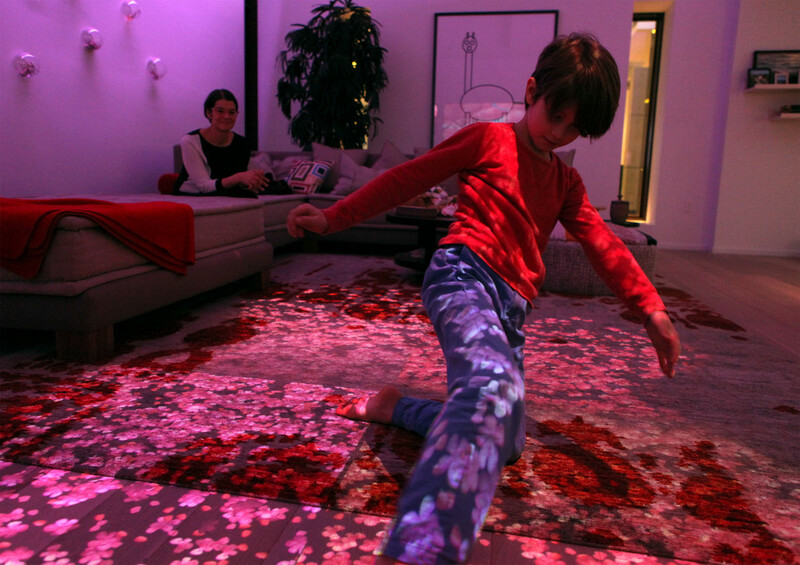 The lion is buried under a pile of cherry blossoms; kicking away the blossoms projected on the floor will help to free him. The boy interacts with the projected content. The tablet tracks and records the story. 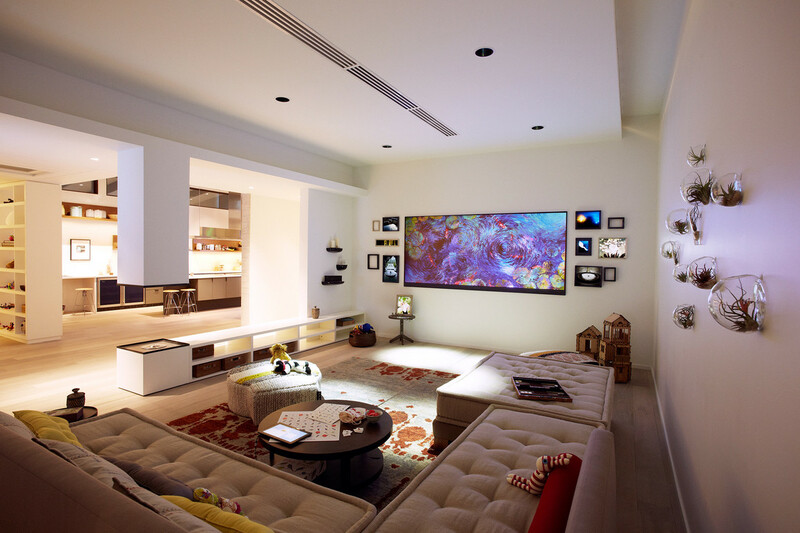 The living room space at the Envisioning Center. 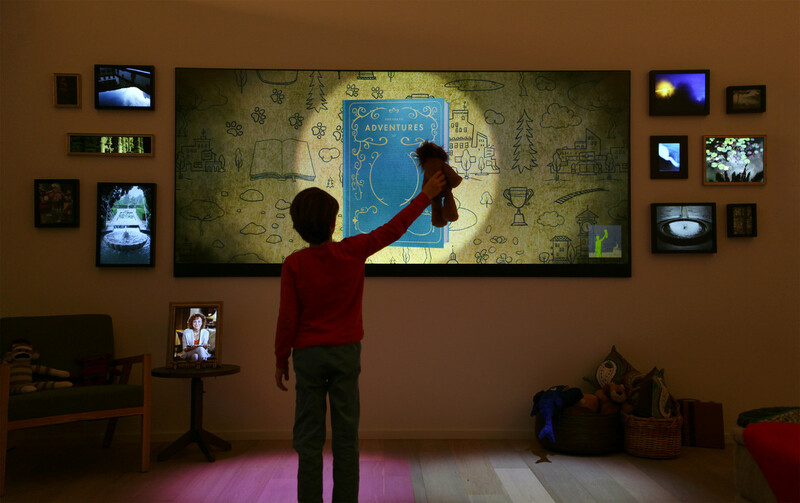 What is the potential for storytelling in the next five to ten years? 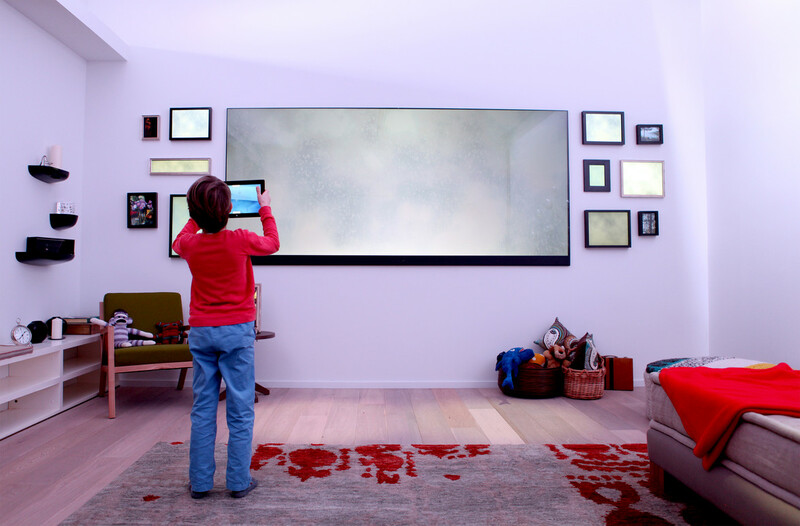 Microsoft’s Strategic Prototyping Group asked Belle & Wissell to help them explore what the future of a family’s story-time might be like—with a resulting media experience that is presented at the new Microsoft Envisioning Center. 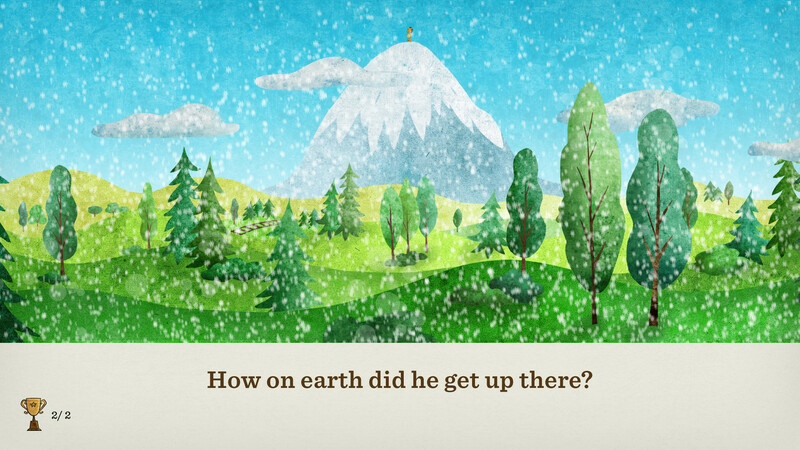 This original story comes to life through a series of seamless interactions, in a dynamically illustrated (and animated) world. 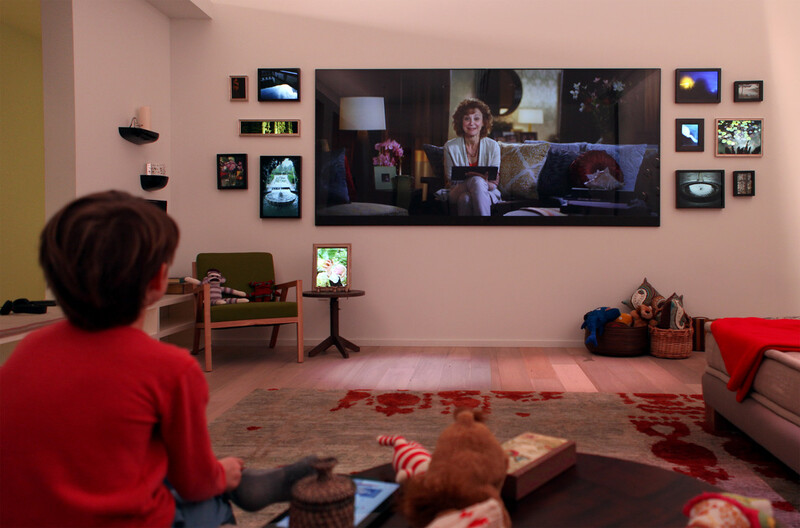 The experience centers around active participation of a child, her grandmother, and the child’s stuffed lion (who becomes the central character). 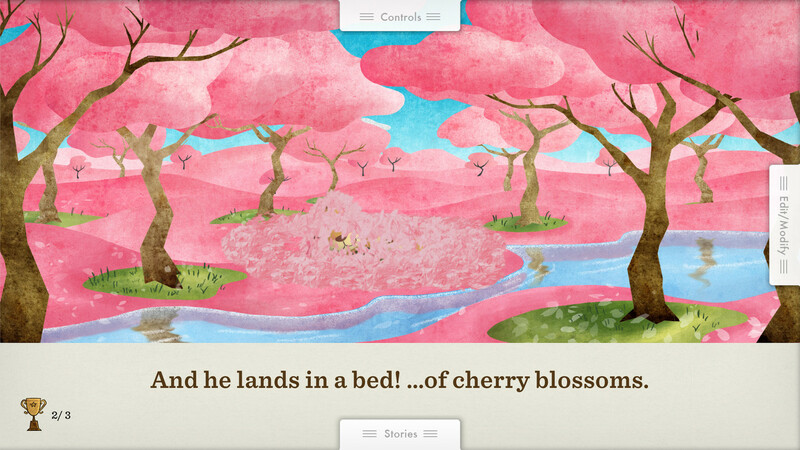 Belle & Wissell’s content development team worked in close collaboration with Microsoft’s internal programming group to create an innovative interactive experience that tells a thoughtful and timeless story about his adventure in search of his beloved cherry blossom. 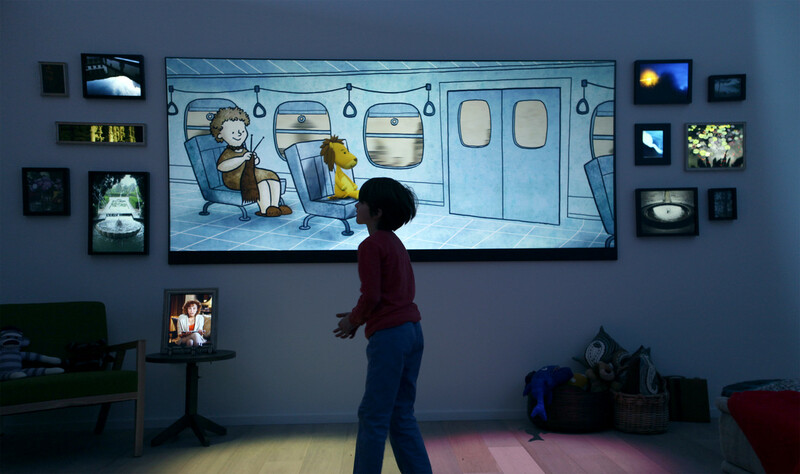 Many unique interactive methods and combinations of Microsoft’s latest technologies are utilized to explore the potential of what storytelling might look like in the future–a truly theatrical and exciting experience.